Yamaha Motor Captures Sixth Straight India Design Marks With Cygnus Ray ZR Scooter and YZF-R3 Sports Model - News Releases | Yamaha Motor Co., Ltd.
IWATA, May 26, 2017—Yamaha Motor Co., Ltd. (Tokyo: 7272) announced today that the Cygnus Ray ZR scooter and the YZF-R3 sports model - sold for the young male demographic by Yamaha Motor’s India subsidiary, India Yamaha Motor Private Limited (IYM) - have been awarded the India Design Mark (I Mark)* sponsored by The India Design Council. 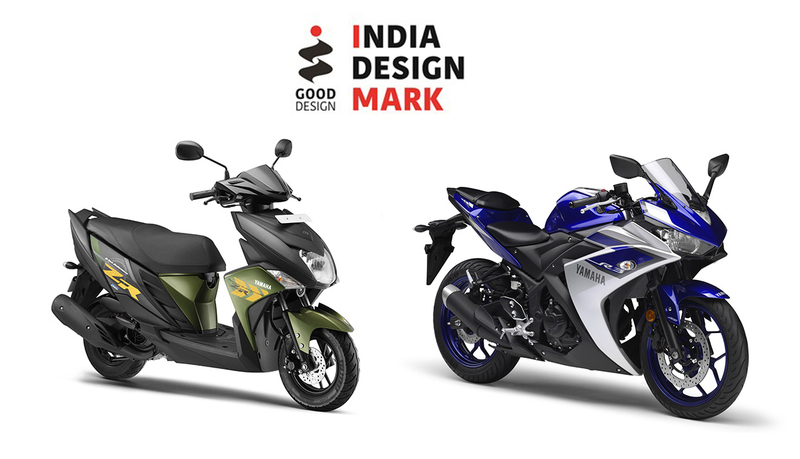 These honors mark the sixth year in a row - every year since the inaugural awards in 2012 - that a Yamaha Motor product has received the I Mark. The Cygnus Ray ZR is aimed at customers who want a bold design at the cutting edge of trends and who lead a typically masculine lifestyle, while the YZF-R3 is aimed at riders who love the R-DNA with the Yamaha supersport YZF-R1 as its flagship. Our team worked closely together in the development of both models. Our aim is that customers will experience a new Kando* by choosing one of these models as their "true partner." We hope to continue sending striking designs to the world.